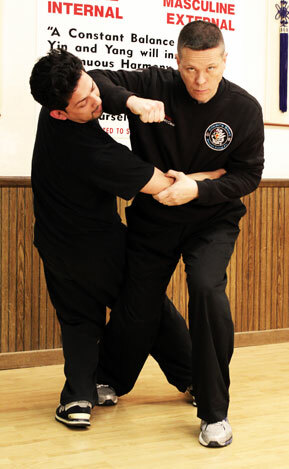 This video contains in-depth instruction in the essential skills for surviving a surprise attack and fighting from the ground when an attacker is trying to kick your head in. Get all 3 handgun DVDs and Save! Most law enforcement officers who are shot are shot with their own gun. Don’t let this happen to you. 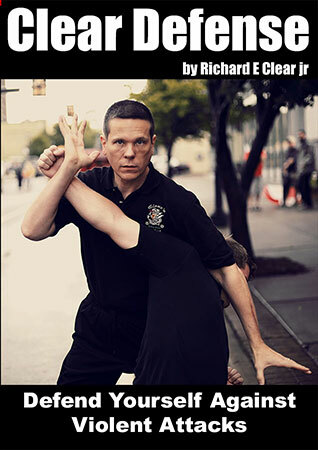 Richard Clear will teach you powerful and effective ways to maintain control of your weapon and gain the position you need to use it effectively. 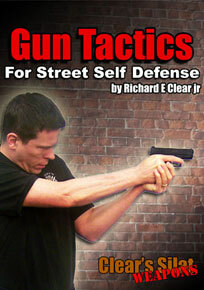 This training is essential for anyone who would consider using a firearm for self defense. Get all 3 Handgun DVDs and Save! Click Here Now. 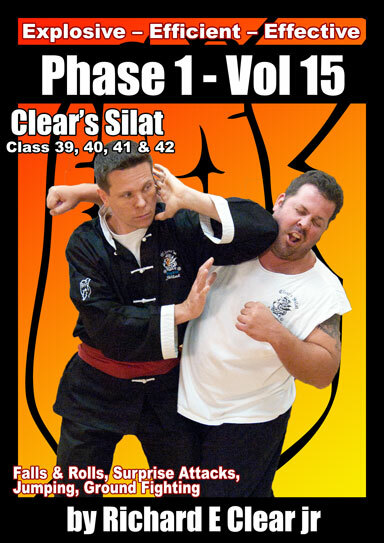 Featuring Clear and in-depth instruction. 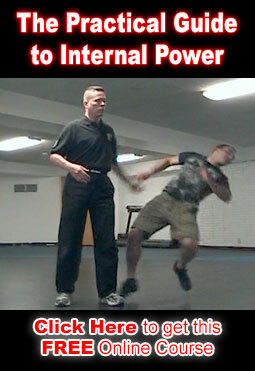 This video will teach you powerful and effective methods for disarming an attacker with a gun. You will learn the strategies and training methods for surviving against multiple attackers in real life attacks. Most gunfight deaths are the result of shots fired at less than 6 feet. Over 75% of officers shot on duty are shot with their own weapon. 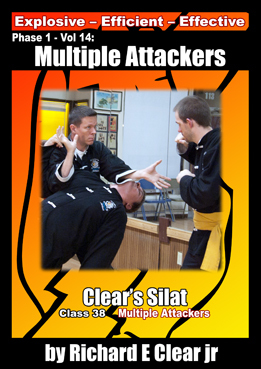 On this dvd Richard Clear takes a hard look at how actual attacks occur and you will learn the skills and attitude that have enabled Master Clear and his students to survive and win real-world attacks. We are taking pre-orders on the new Phase 1 – Vol 5 DVD. 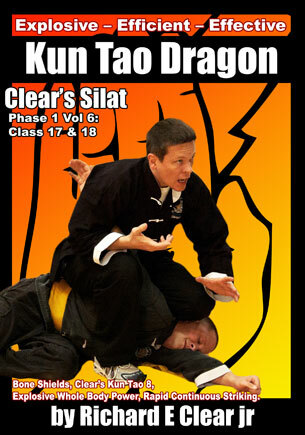 This dvd includes Stick and Knife training as well as how to move and fight with Whole Body Power and more. So you won’t want to miss it. Pre-Order before July 12 and save 21%. Click Here for a video clip & all the details. 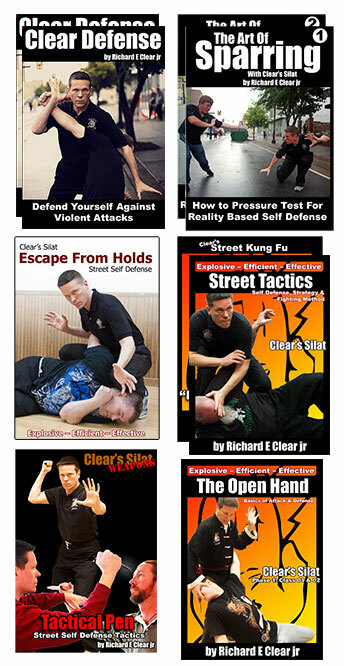 A Magazine is a powerful and effective Self Defense tool… If you know how to use it. Quick to learn & Effective. No Complex Moves or Fancy Techniques. 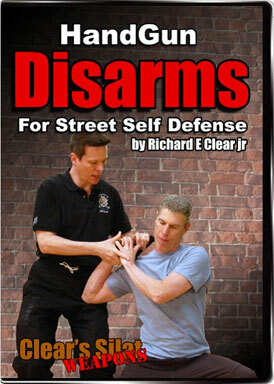 On this DVD you will learn how to use a Magazine Or a Newspaper to protect yourself & your loved ones.